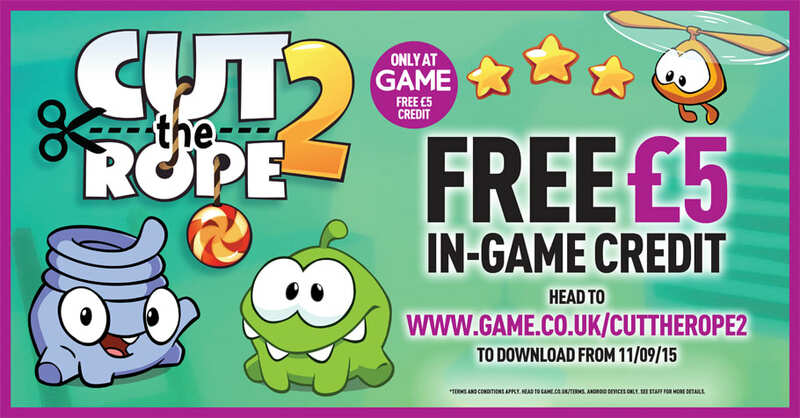 Download the GAME Exclusive version of Cut the Rope 2 today to receive £5 of in-game credit! 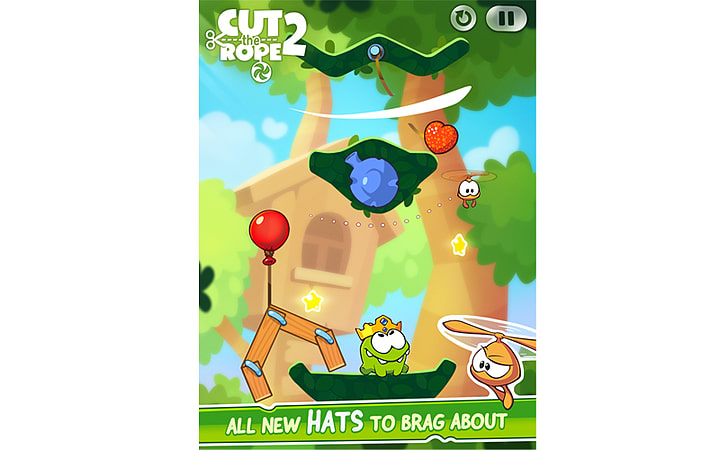 Following the success of Cut the Rope games with over 400 million downloads around the world, Cut the Rope 2 has now arrived! 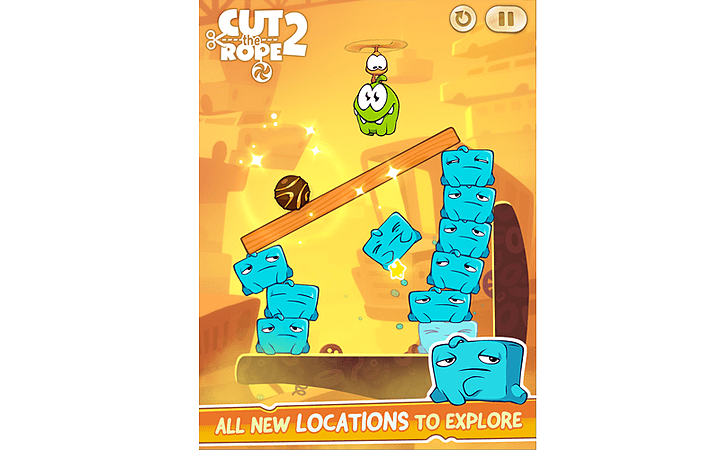 With new characters, fresh gameplay elements, tricky missions, and, of course, Om Nom, candy collecting has never been so fun! 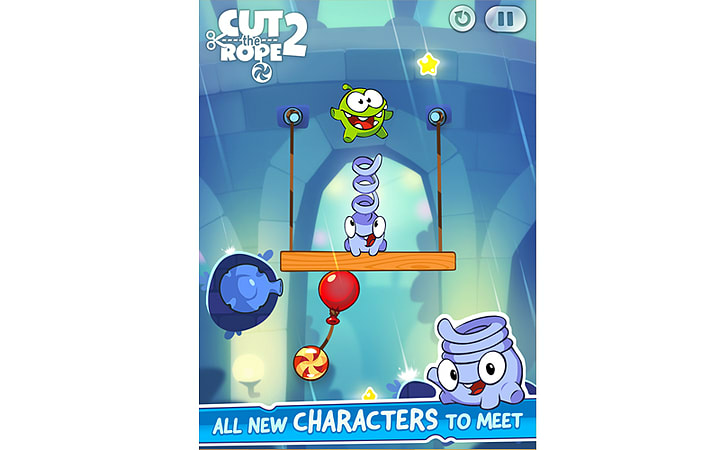 Cut the Rope 2 - Get £5 In-Game Credit! The Service may include an opportunity for you to earn, buy or otherwise obtain in-game currency ("Virtual Currency") to access virtual, in-game digital goods or items ("Virtual Items"). 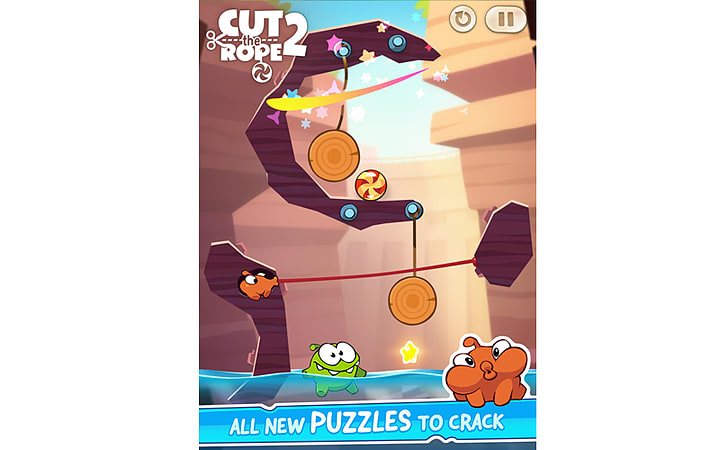 Methods of obtaining Virtual Currency are at ZeptoLab’s sole discretion. Virtual Currency and Virtual Items are not real currency, do not have monetary value, and may not be redeemed for legal currency, or items of value outside of the Services. Virtual Currency and Virtual Items obtained via the Service are provided to you under a limited, personal, revocable, non-transferable, non-sublicense able license to use within the Service. You have no property interest, right or title in or to any Virtual Currency or Virtual Items appearing or originating in the Service, and they may not be transferred or resold in any manner, including, without limitation, by means of any direct sale or auction service. You agree that all sales of Virtual Currency and Virtual Items are final. No refunds will be given, except in ZeptoLab’s sole and absolute discretion. ZeptoLab has no liability for hacking or loss of your Virtual Currency or Virtual Items or any goods or services obtained via Virtual Currency. ZeptoLab has no obligation to, and will not, reimburse you for any Virtual Currency or Virtual Items obtained via Virtual Currency. ZeptoLab reserves the right, in its sole discretion and without prior notification, to change or limit the price, availability, or order quantity of any Virtual Currency or Virtual Items and to refuse to provide you with any Virtual Currency or Virtual Items.